Apologies for the delay. I’m new here. 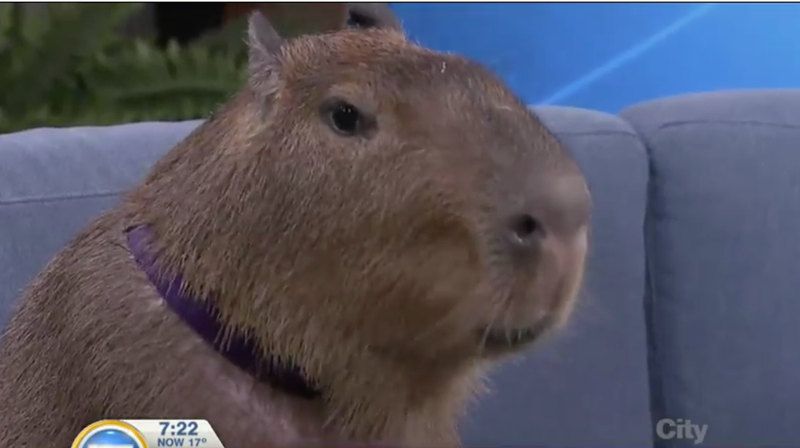 But without further ado, allow me to present Willow the collard green-eating capybara. Move over, Dan Ackroyd, Canada’s got a new sweetheart.